Back when this writer was a little boy, and that is quite some considerable time back, breakfast time used to be a meal that I looked forward to with much enthusiasm, and it wasn’t because I was particularly hungry. No, you see, it was something much more obscure that caused me to race down the passage into our dining room and grab the Kellogg’s Corn Flakes every morning, it was in fact because of the little flaps on the inside of the box that was the cause of such eagerness. Back in the 1960s cereal makers used to print images of rockets, aeroplanes, racing cars and other things that went fast, onto these box flaps and the technical specs made fascinating reading for little boys who were besotted with the thought of space travel, jet engines and fast cars. To add to this heady mix of enthusiasm and passion, you could also buy an album into which you could paste these cardboard cut-outs and so one tried to collect the whole series of rockets, planes and cars. I am sure there were some supermarket managers who, back in those days, wondered why so many of the new boxes of Corn Flakes on the shelves in their shops would often have opened tops once a mother had done the weekly shopping with their young sons. Where is this all leading? Well, back in the ‘60s we could only dream of space travel and rockets, and the thought of a rocket-type car that raced along the ground was the stuff of fantasy. Not anymore, it isn’t…. 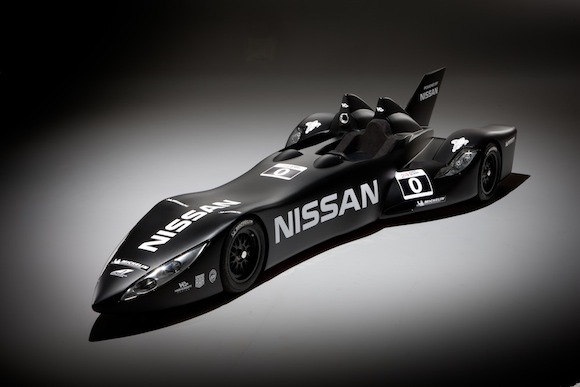 On 16 June 2012, just such a car, the Nissan Delta Wing, will take its place on the grid at Le Mans for the legendary 24-Hour race. In fact the Delta Wing, a futuristic looking cigar on wheels, looks remarkably like some of the rocket cars that used to adorn the pages of Flash Gordon and other space comics back in the early days. But far from having a rocket engine, the Delta Wing will be powered by a 1.6-litre turbocharged Nissan 4-cylinder engine. Sound crazy…well just you wait and see, because expectations are that this supersonic looking racing car will surprise many and possibly frighten a few more. In fact the grid at Le Mans this year will look quite different from previous years as Peugeot will be missing but the return of Toyota will be a welcome sight in the LMP1 ranks. But not everything will be quite as it seems, because beneath the skin of the Toyota and two of the Audis (Audi will field four cars at this year’s Le Mans) lurks some advanced hybrid technology, and it is this development, that the ACO are trying to encourage. Audi claim to be entering the first 4-wheel drive car at Le Mans, as previously this feature was not permitted by the race organisers. However, the Audi R18 e-tron quattro is no ordinary 4WD as the rear wheels are driven in the conventional manner, but the front wheels are electrically driven, the only method of 4WD permitted within the rules by the ACO. The way it works is that under braking, the front wheel electric motors act as generators, providing power to spin the flywheel. This in turn then generates electricity to power the front wheel motors. This of course is utilising energy that would otherwise be lost through heat from the braking system. 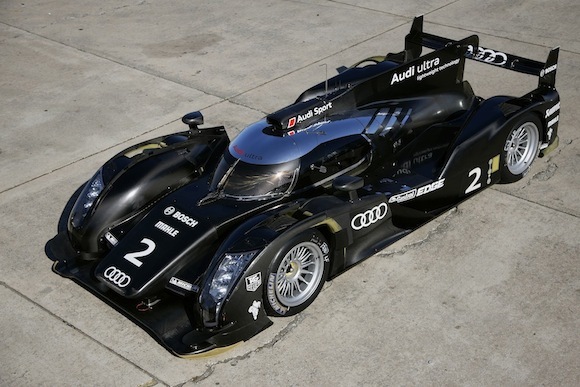 All of this means that, in theory, the R18 e-tron quattro could be quicker out of the corners than the conventional R18 TDI Ultra, the upgraded 2012 version of Audi’s tried and tested R18 TDI endurance winner. The contest amongst the Audis will be an exciting one to watch, let alone the rest of the grid. Under the skin of the Toyota TS030 lies some clever trickery as well, as the Toyota is a full hybrid using a slightly different energy recovery system to the Audis. 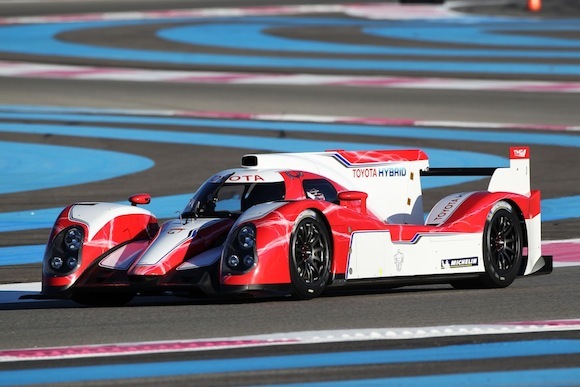 The Toyota Hybrid system has had some race history as it won a 24-hour race in Japan back in 2007, but the Japanese manufacturer has been absent from Le Mans for thirteen years, and let’s face it, the French race is unique. Unlike the Audi system, the energy stored in the TS030 is used to drive the rear wheels only, but this technology, relatively new to mainstream endurance racing, will make for some very interesting spectating. So the prospects of having a space-age, rocket-looking race car and several other contenders powered by advanced electronic energy storage systems does all tie in with the concept of futuristic motor racing. I still enjoy Corn Flakes, but unfortunately the makers of this popular breakfast cereal have long since stopped printing images of rockets, jet planes and racing cars in the box flaps – perhaps they should start it up again, because it may just start a revolution! I couldn’t agree more; I’ve claimed before that the DeltaWing makes Nissan the most interesting car manufacturer in the world right now and Le mans is shaping up to be an incredible race! Thanks, Carlton! You are really on the ball! Have a great weekend! Are you listening Kellogs? Bring on the rocket fueled Cornflakes!! Mums around the world will be eternally grateful come breakfast time!